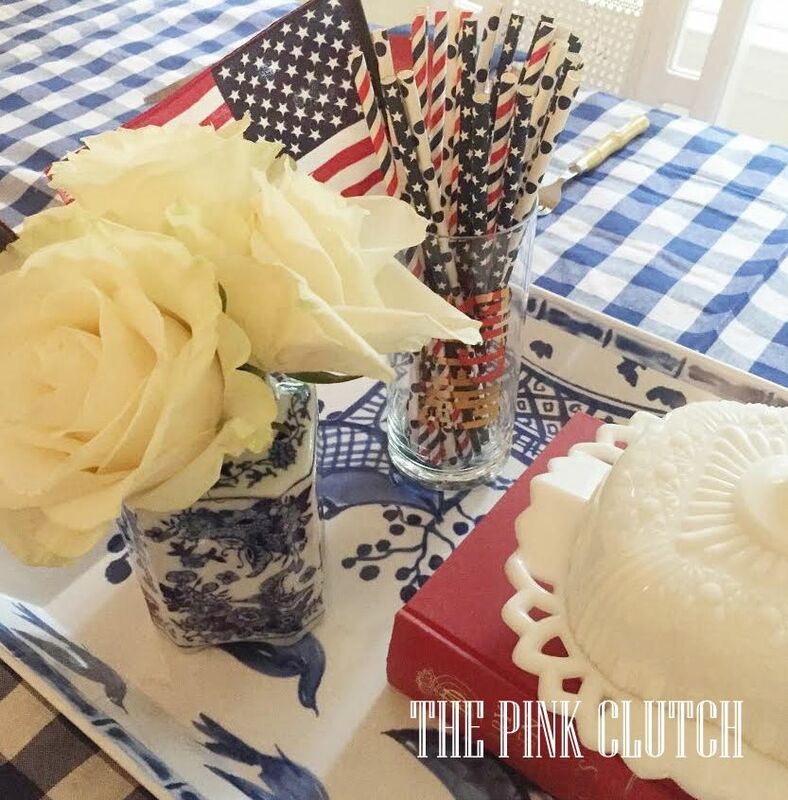 I hope you had an amazing holiday weekend. Ours threatened to be icky due to rainy weather and yet we just swapped the pool for hours of cards and Scrabble playing. It turned out to be just what we all needed! And with my cast ... easy peasy for the Mama! One of my highlights of the long holiday weekend was receiving not one, but two. vintage swap packages! As you know I hosted a vintage swap and matched up a number of darling participants with partners I felt were well matched. That way they would get something perfect for them and likewise! As the partners were announced the darling Trunks Up Vintage mentioned she wanted to participate as well, so I found myself the lucky recipient of two partners! And since I love to thrift for vintage ... I knew I could easily handle a second partner! Both of my packages arrived on Friday and I was giddy waiting to cut into both of them! Not only did I receive amazing stuff, but both of my partners worked so hard to find things I would like. I was so touched to find happies, hand written notes and little messages telling me why they chose what they did. Words are my love language and both of them nailed it! When my first package arrived from Jennifer I literally gasped. The box contained two amazing happies and of course, a handwritten note! As I unwrapped my box I found a natural clutch with a hot pink interior and bamboo handles, #perfectforme, and a darling milk glass candy dish with a bag of candy ready to display and use for the holiday weekend! Jennifer found the most perfect things for me and just like any good thrifter found things she would want to keep herself. The gifts I want to keep for myself are the best to give away!! 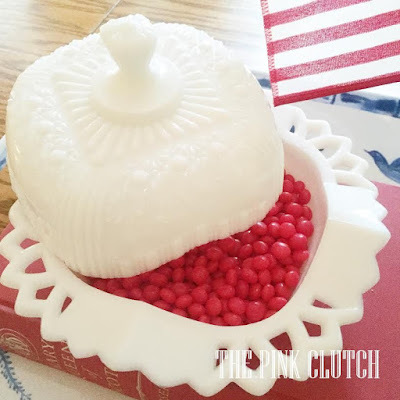 How amazing is this milk glass candy dish? These pictures do not do it justice. It is heavy with details for days. My Nana always had a candy dish on her coffee table and I would beeline for it as soon as I arrived. Now that the holiday is over I will looking for the perfect spot for this beauty and will treasure it always since a candy dish evokes such special memories for me! Well done Jennifer ... you made my weekend for sure!!! My second package arrived a few hours later just as I was headed up for a nap. This cast is heavy and wears me out! Please notice I immediately sat down on the floor in the hall way and dived into my package. As you can see Avery showered me with happies. Each one was individually wrapped and tied with a note. So sweet and her choices were over the top amazing! I am still styling most of my loot but ... I immediately dived into two of them the next morning! Coffee mugs are my jam and I was so excited to have my morning coffee in this darling cup with lid. It will be perfect for evening tea with the lid ... the tea won't get cold while it steeps! 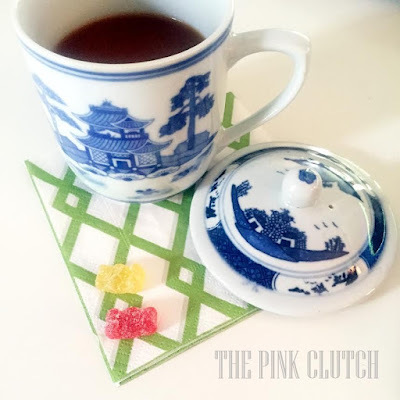 And yes, I did have some sour gummy bears while reading blogs ... I love sweets!! 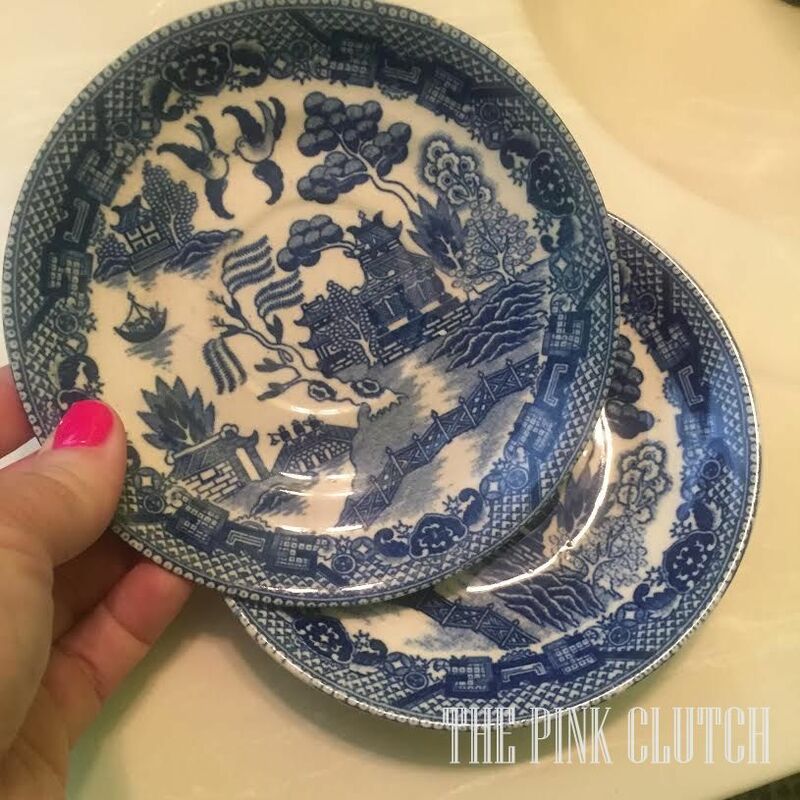 The single large Blue Willow saucer she sent me is the identical match of one I already owned. I am thrilled to have a pair for hanging and displaying. 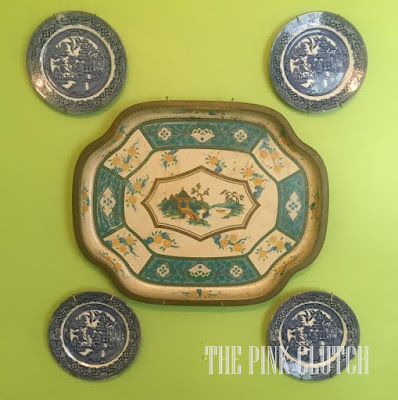 I recently moved a ton of my blue and white into the dining room and left the powder room bare of some of its bigger pieces. Sad right? 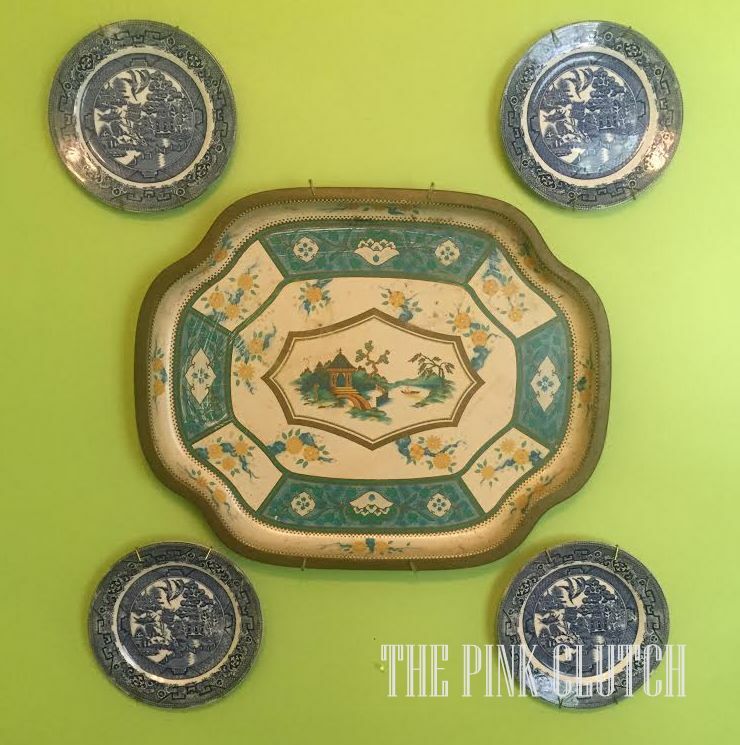 I will now take all six of these amazing antique plates and add them to my book cases. I could not be more thrilled to have an exact match. As I use all of the darling things she sent me I will take more styling pictures and update you. Her package was filled with so many amazing happies and I need to decide where each one will go. You must check out her feed ... she has an incredible booth and I want basically 95% of the items she has most days!! I have asked the participants to link up their styled treasures for you on their blogs and Instagram accounts ... make sure you check out each one for their posts!!! I had an amazing time swapping ... keep your eyes peeled for the next one coming soon! Paige, I'm so glad you enjoyed your goodies! It was so easy to shop for you, I just chose things I wanted for myself! ;) We were thrilled with our surprises too, so much fun! 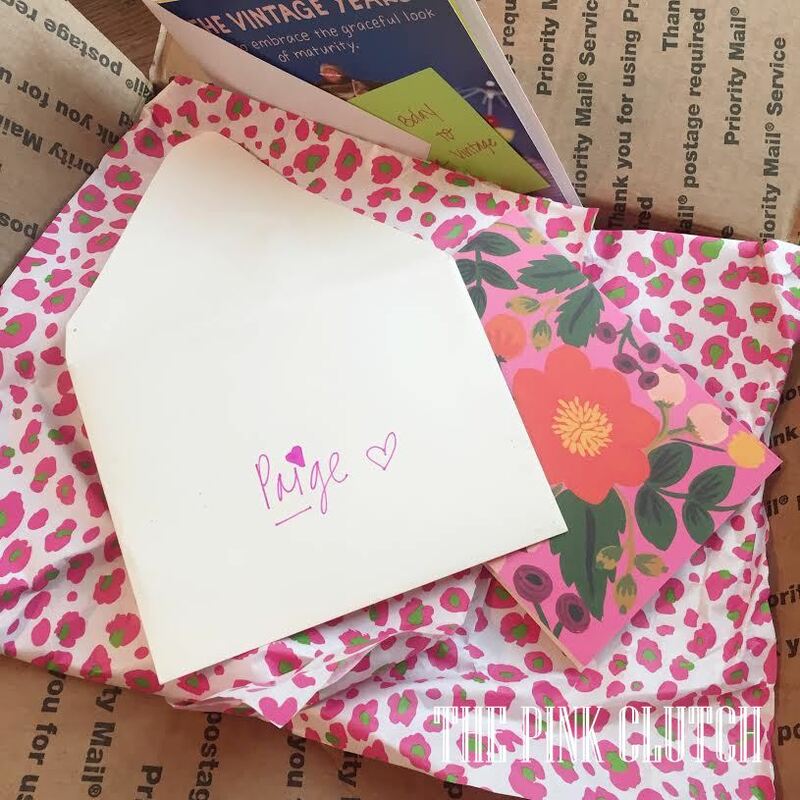 Thank you for organizing this fun summer swap! What fabulous things you received from Jennifer and Avery. 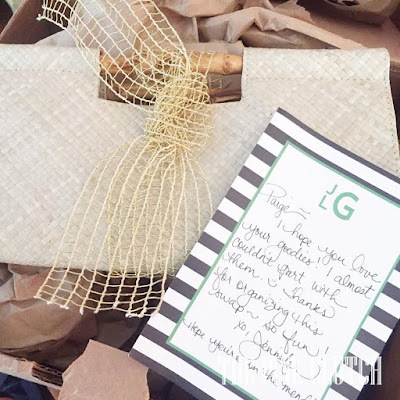 And, I love what you sent to Jennifer! Love your items. Your swap partners each got you the perfect items. Thanks for hosting this fun swap! I found you over @ Dimples and Tangles...what a cool idea!! I am now following along and checking out all the goodies! Maybe next time I can even get in on the swap! 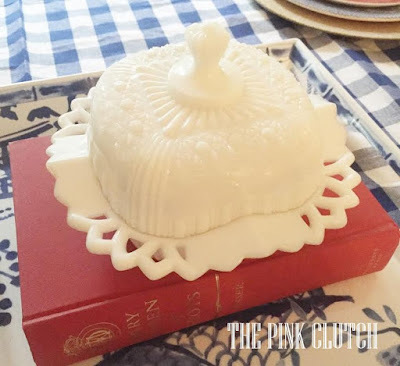 Paige, I popped over from Dimples and Tangles to read more about the vintage swap. What fun ! I had to write to tell you that you're the only other person I've heard using the word "happie!" Any chance you're from Mississippi ? My hubby's oldest aunt and her daughter used that term for a sweet little gift you give to another. After hearing it years ago (upon receiving a happie from each of them) I adopted it into my own vocabulary. I LOVE giving happies ! What a great idea! Lucy and I at East Meets South would love to participate sometime! I had so much fun shopping for a goodie to send to my swap partner, Marsha at Mjonesstyle. 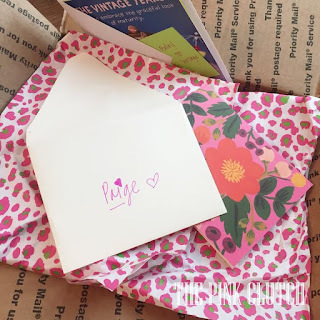 I loved checking out everyone's happies and look forward to future swaps (I may just get my blog together by then, though not holding my breath). 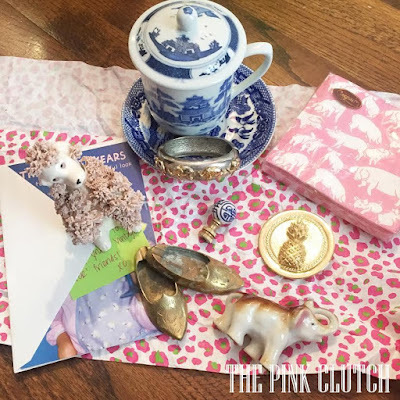 If you hop on over to my Instagram account, Cdonnellydesign or Facebook, Christa DonnellyDesign you can check out my goodies that I received from Marsha, and the little happie that I sent to her. Sorry for posting so late, I had to be mom last night/today and have just gotten home from having my son's hands x-rayed. Just getting back from vacation and catching up on my emails. Love your treasures. Thanks for hosting this fun idea. I love my swap from Christa D. Brass birds with lots of detail. I really didn't have time to stage them properly but now that I'm back, I will work on that. Looking forward to the next swap. Thanks Paige. Wow! Such beautiful and fun items you received! 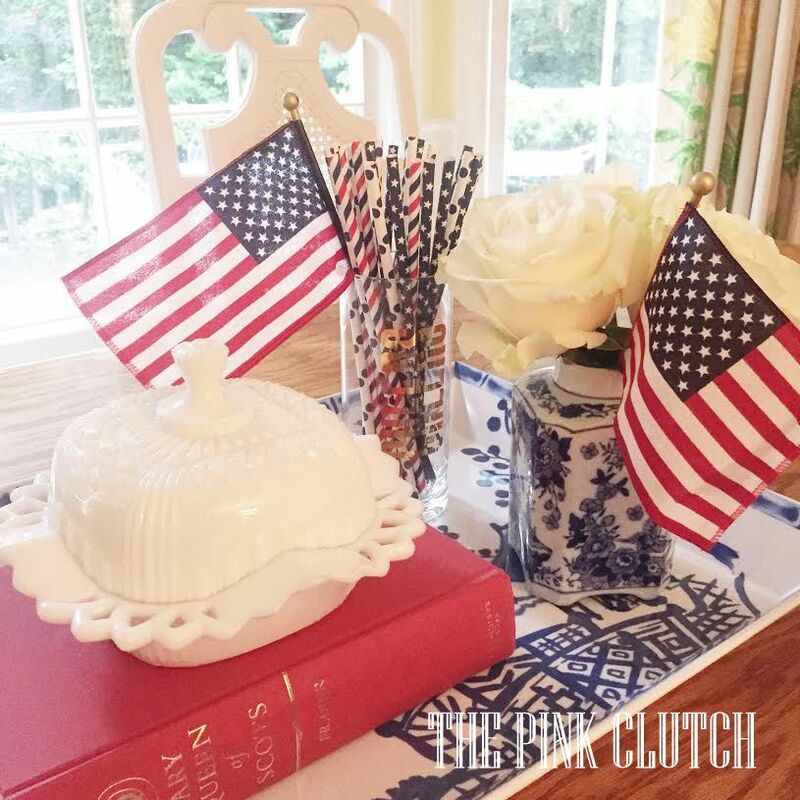 Love t;hat clutch! Thanks for organizing!! !